Appreciate all feedback, and I don't mean to be rude, but is it necessary to respond in such a condescending manner? This is not my area of expertise, I have clearly misunderstood or incorrectly interpreted something, you know what you are talking about so I appreciate the pointers, but please do so in a constructive and courteous manner. 9 (1): A notice which is to be relied on as a notice to keeper for the purposes of paragraph 6(1)(b) is given in accordance with this paragraph if the following requirements are met. (2)The notice must specify the vehicle, the relevant land on which it was parked and the period of parking to which the notice relates. •	The PCN is not compliant as it does not specify the period of parking. When issuing a parking charge notice you may use photographs as evidence that a vehicle was parked in an unauthorised way. The photographs must refer to and confirm the incident which you claim was unauthorised. A date and time stamp should be included on the photograph. •	The PCN is not compliant, as no date or time stamp has been included on the photograph. You may use ANPR camera technology to manage, control and enforce parking in private car parks, as long as you do this in a reasonable, consistent and transparent manner. Your signs at the car park must tell drivers that you are using this technology and what you will use the data captured by ANPR cameras for. •	The infield signage does not state what you will use the data for. As a stakeholder and contributor to the BPA code of practice, Britannia Parking are expected to ensure they operate in accordance with its rules and that of the Protection of Freedom Act 2012, and for this reason I look forward to receiving notification within 28 days that the Parking Charge Notice has been cancelled. It was constructive. Just blunt. You can't randomly copy and paste. Understanding is needed. They'll reject so read up on popla. Understood, and that is a very fair comment. I will tweak it for the 'nth' time, submit, and wait for the inevitably rejection. Rejection letter received as expected and pasted below for reference.....hoping for some guidance on the next step. Having compared appeal to the rejection, some of the points have not been answered. To make for easier reading, the extracted paragraphs are in red. A notice which is to be relied on as a notice to keeper for the purposes of paragraph 6(1)(b) is given in accordance with this paragraph if the following requirements are met. (2)The notice must specify the vehicle, the relevant land on which it was parked and the period of parking to which the notice relates. •	The PCN is non compliant as it does not describe the charges due at the end of the ‘parking period’, as previously stated above, nor does it detail the circumstances or facts. As the operator, Britannia Parking are required to detail these requirements on issuing the PCN. The letter does not appear to address this point? •	The PCN is not compliant, as no date or time stamp has been included on the photograph provided as evidence. As a stakeholder and contributor to the BPA code of practice, I trust Britannia Parking appreciate the importance of abiding by the guidelines to which you subscribe. The letter does not address this point? •	Please see photographic evidence as proof the signs do not comply BPA guidelines 21.1, they do not state that you are using ANPR, nor does it state what you will use the data for. All of our signs follow the standard requirements needed by the BPA. We are also audited yearly to ensure that signage is maintained and updated in line with the BPA’s requirements. The signage clearly advises when a Parking Charge Notice will be issued and no ambiguous wording has been used. There is also a contact telephone number stated on the signage should you require further clarification on the terms and conditions. Please be aware the evidence provided by yourself shows the signage which states that it is a camera controlled car park, we have attached this again for your review. Please also see attached a photo of the contract stated on the signage. Interestingly, the pictures they provided as proof are from different signs. As a stakeholder and contributor to the BPA code of practice, Britannia Parking are expected to comply with the guidelines and its mission statement to strive to “put the customer at the heart of our thinking in producing the code, by improving consistency we are ensuring that parking operators are delivering the best for their customers”. 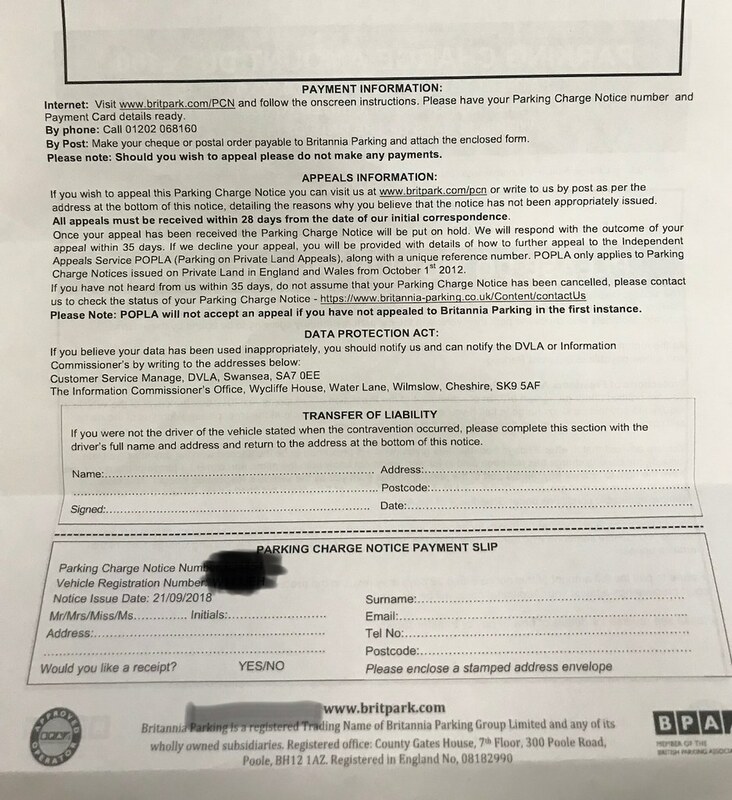 For these reasons, I look forward to receiving notification within 28 days that the Parking Charge Notice has been cancelled. Should my cancellation request be rejected please provide a POPLA reference code, so I may escalate the appeal to the governing body. We have reviewed the case and considered the comments that you have made. This appeal has been considered in conjunction with the photographs and any evidence provided. Our records show that the notice was correctly issued as your vehicle was parked in breach of the Terms and Conditions of the Car Park. The Parking Charge Notice was issued to the vehicle because a valid ticket was not purchased. It is the driver’s responsibility to ensure that they have read and understood the terms and conditions for using the car park. Britannia Parking is an active member of the British Parking Association (BPA) and we follow their Approved Operators Scheme, Code of Practice at all times. We meet all the requirements for our signage as advised under section 18 and 19 for England and Wales or Section 28 for Scotland, of the BPA’s Code of Practice, in regards to signage and notifying the driver of the terms and conditions. Therefore we consider there to be sufficient, clearly visible signage in the car park to draw your attention to the terms and condition of the parking contract that is on offer. By leaving your vehicle in the car park you have broken the terms and conditions and therefore we believe the Parking Charge Notice to be valid and correctly issued. Please be aware that you have been notified under paragraph 9(2)(b) of schedule 4 of the Protection of Freedoms Act 2012 that the driver of the motor vehicle is required to pay this parking charge in full. requirements. The signage clearly advises when a Parking Charge Notice will be issued and no ambiguous wording has been used. There is also a contact telephone number stated on the signage should you require further clarification on the terms and conditions. Please be aware the evidence provided by yourself shows the signage which states that it is a camera controlled car park, we have attached this again for your review. Please also see attached a photo of the contract stated on the signage. The terms and conditions of the car park detail that your information may be requested and shared with the BPA, DVLA , debt recovery agents and solicitors. We are processing your information in relation to a breach of contract, additionally we are not relying on consent as our lawful basis.  Our lawful basis is contractual, and until the contract is resolved, we have a lawful basis to retain your information. 1 Pay the Parking Charge Notice at the discounted rate for a further 14 days.Please note that after this time the discounted rate will no longer apply and the full Parking Charge Notice amount will then be due within 14 days. 2 If you choose to do nothing, we will seek to recover the monies owed to us via our debt recovery procedures and may proceed with Court action against you. 3 Make an appeal to POPLA – The Independent Appeals Service. Please note that if you wish to appeal to POPLA, you will lose the right to pay the Parking Charge Notice at the discounted rate, and should POPLA’s decision not go in your favour you will be required to pay the full amount. If you opt to pay the Parking Charge Notice you will be unable to appeal to POPLA. The POPLA service is only available in England and Wales. You must submit an appeal to POPLA within 28 days from the date of this outcome letter, by submitting an online case at www.popla.co.uk Your POPLA verification code is xxxxxx. Internet: Visit www.britpark.com/PCN and follow the onscreen instructions. Please have your parking charge Notice number and payment card details ready. By Phone: Call 0345 5 555888 option 2. You can truthfully point out that the operator does not dispute that their ntk is NOT pofa compliant, and therefor it isn't. But (and no laughing at this next question).........just so I understand, how are they admitting to it being non compliant, by the fact they have not responded to all the appeal points, or.....? So you state to POPLA that this means they agree it is not compliant - there opportunity to dispute this has been and gone. Final question, had a gander at the POPLA website and the appeals process, is it standard practise to upload both the appeal and rejection letter, highlighting the parts they didn't respond to? No, none of that helps at all at POPLA stage. And nor will trying to say the NTK is not a POFA one, because we know from umpteen Britannia ones that their current NTK is compliant (according to POPLA, and I would agree). Some people now lose at POPLA v Britannia, so don't be despondent if you lose the appeal, but go all out with photos in the appeal to prove what it looks like in the dark. You need to read other Britannia POPLA appeals to see what's what, and how they look. All photos are embedded into the actual appeal word document, as illustration, not uploaded one by one as that expects the Assessor to look at lots of things and join up the dots. Make it easy for them with a storybook with photos of the dark car park. Nothing gets uploaded except the PDF long appeal (very long) and no boxes are ticked except 'OTHER'. POPLA stage is explained in the NEWBIES thread on the MSE parking forum, in the third post of that sticky thread, with template example points and one or two full examples showing what a decent long, picture/story appeal looks like. ok, thanks, I will have a read, but the points they failed to respond to are relevant? No, telling POPLA that a PPC was norty and didn't bother to respond to a point of appeal, does not win a POPLA appeal. 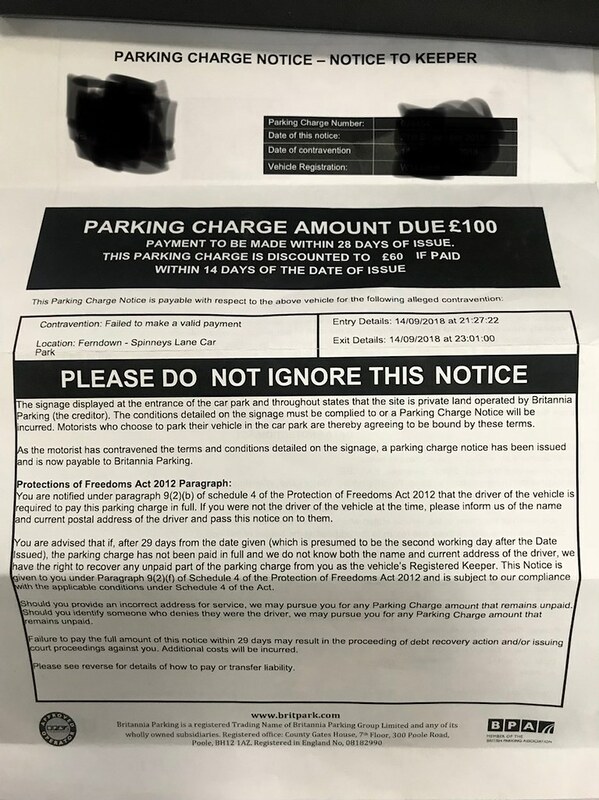 "Britannia Parking Group have told us they do not wish to contest the appeal, this means that your appeal was successful and you do not have to pay the parking charge." Thank you Pepipoo and MSE for the assistance. For anyone visiting the White Heather, Ferndown, Dorset, 15 page appeal for reference. 2. No Evidence of Landowner Authority - the operator is put to strict proof of full compliance with the BPA Code of Practice. 7. No Planning Permission or Advertising Consent from Dorset Borough Council for Pole-Mounted ANPR Cameras or signs. It is submitted that the driver could not read about any terms involving this huge charge, which is out of proportion, due to its reliance on external sources for illumination. The signs are not immediately obvious as parking terms, obscured and the wording is mostly inconsistent, crowded and cluttered in terms of word count. It is indisputable that placing letters too close together in order to fit more information into a smaller space can drastically reduce the legibility of a sign, especially one which must be read before the action of parking and leaving the car. 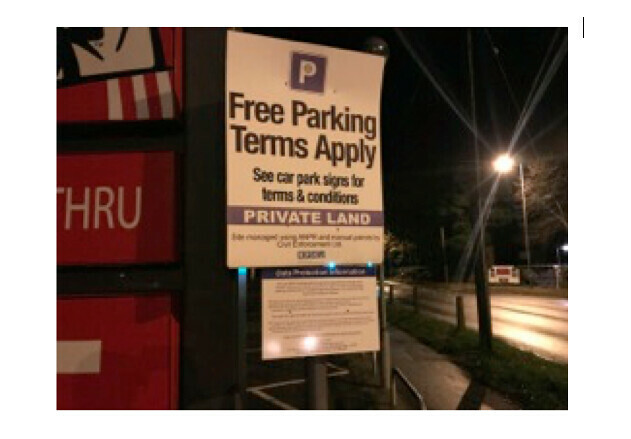 • Signage throughout car park in question is non- compliant with BPA Code of Practice 18.3, and has an impact upon a driver ability to locate, read, understand and agree to terms and conditions prior to entering a contract. • The failure to light signage adequately so as to make signs visible from all parking spaces (which they are not, especially at night time) and legible once located. See Fig 1. • The lengthiness of Britannia Parking signage (500, in terms of word count) with a significant amount of text that constitutes the parking contract section, clearly implying it is essential this must be carefully read and understood, is spread out across different signs with illegible directions to locate said terms. the dark difficult to be sufficiently informed and decide not to park and therefore enter into a contract. 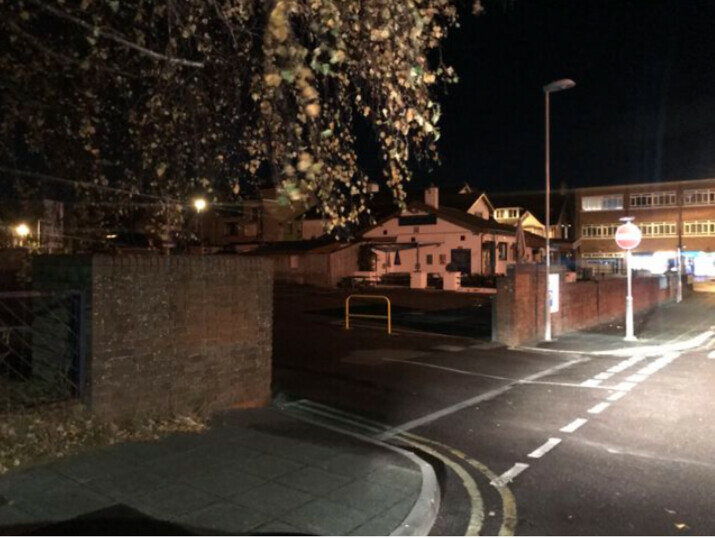 Figure 1: Image of entrance to Spinneys Lane car park, taken after PCN issued. 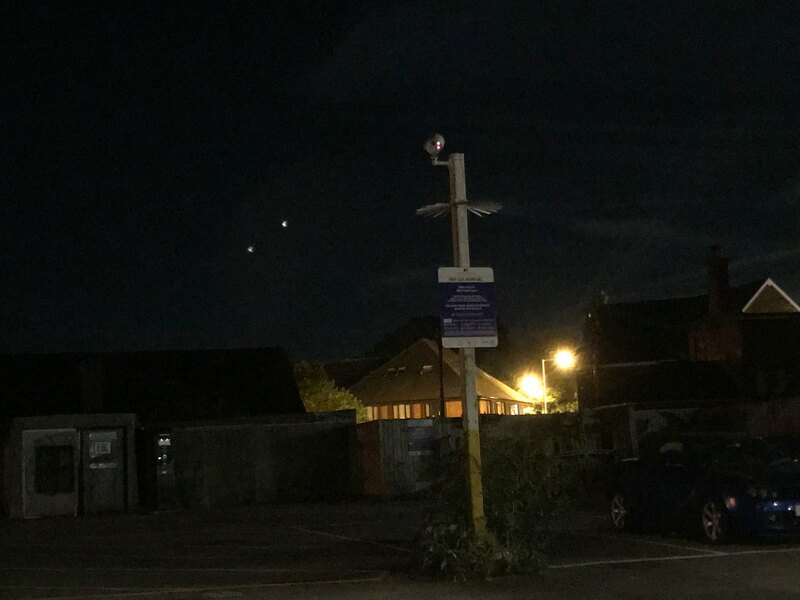 Further research confirmed the only sign that is illuminated in Spinneys Lane car park is the payment machine itself, but insufficiently so as to identify and locate it in darkness. 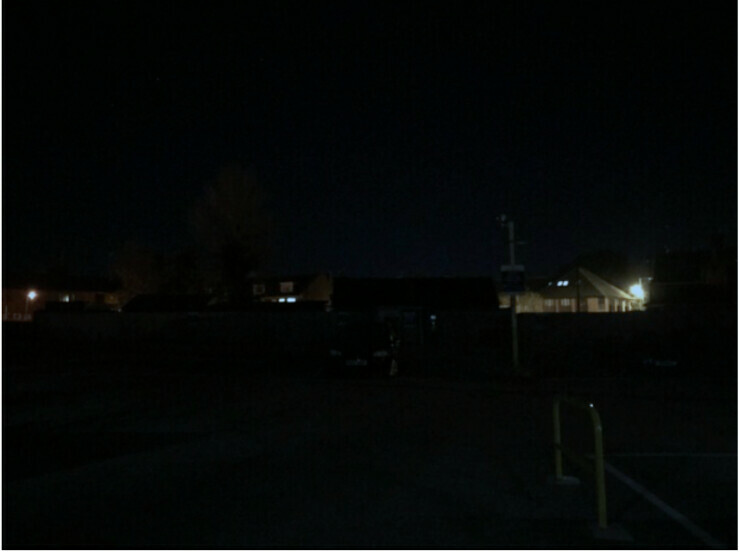 If you observe Fig 1, look to the right of the vehicle in the middle of the image, there is a faint light, that is the meter. The Terms and conditions that constitutes the “parking contract’ is positioned at the bottom of all signs, however it is impossible to read in the dark when you would also need a torch. It cannot be ignored as it requires the reader to fully read and understand. Why is something so important illegible, due to the omission of sufficient lighting to read it over the duration of the 24hour period it is enforced, the addition of lighting would in the whole mitigate this significant factor, anyone entering into a contract would want to read the conditions of said contract. Following further research on foot and retracing the exact route taken by the driver, it is not disputed that there is a Britannia Parking ‘P’ sign to the right of the spinneys lane car park, which meets one BPA requirement, it’s the placement which is in question. On entering and turning into the car park, none of the signs are ‘visible’, neither the blue P sign which is obscured by a post, nor any other. See Fig 4/5. Figure 5: View-point from drivers seat at entrance, signs obscured. Retracing the route, Fig 4 shows the view from the car entering Spinneys Lane and approaching car park on left, Fig 5 prior to turning sharp left into the car park and clearly demonstrating the lack of ‘visible’ signs. It cannot be reasonably assumed (particularly given this case took place after sunset in a car park without its own lighting or without any signage being adequately lit) that a driver drove past and could read a legible sign. In disputing points above, the relevant entrance sign in this appeal case is not readable by drivers, it’s not visible, nor is it readable and understandable at all times. It is not directly lit nor does it benefit from lighting during all 24 hours of operation. It may well be made of a retro-reflective material but this is irrelevant in this case as the positioning of the entrance sign is as such that the driver cannot physically distinguish it on approach and entering the car park. To expand upon the latter point, further research confirmed there are two signs at the entrance to the Spinneys Lane Car Park, Fig 6 below shows the location of these two signs, indicated by green dots. The sign on entering the car park (from the perspective of a vehicle entering the car park from the north) is the sign that states the car park is ‘Camera controlled’, but is invisible to the naked eye on approach due to placement, positioning and is obscured by trees. As demonstrated earlier the blue P sign, is compliant in terms of wording/format, its more positioning. Both signs are placed to capture the attention of drivers approaching from the south. Specifically, I will discuss three factors that are key in establishing non-compliance with the BPA CoP (Appendix B); the height of the sign; the distance of the sign from the approach road; the direction the sign faces in relation to approaching traffic. Fig 8: Height of relevant entrance sign, distance from approach road and illustration of vehicle direction upon entry. As explained in Figure 8 above, the measurement from the ground to the bottom of the relevant entrance sign is 202cm. The measurement from the ground to the top of this sign is 264cm. The blue ‘P’ (indicating parking) and the text “Public Car Park, open 24/7, prices from 30p” is to the right of the 2-way entrance on the wrong side of the road. Meaning there are 2 signs on opposing sides of the entrance, one at low level to the right against the flow of traffic obscured by a post, and the other 202 – 264cm from the ground to the left on the inside of the entrance, completely invisible on approach and angled towards traffic entering spinneys lane from Ringwood Road. 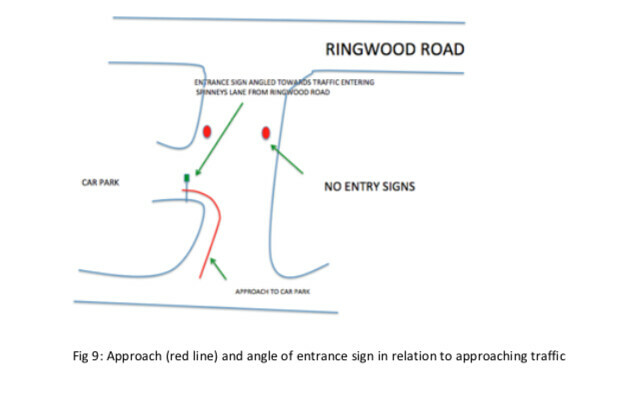 The left sign is approximately one car length distance from the point at which a vehicle would begin turning into the car park from the approach road north (see Fig 8 above) and is angled away from the driver and towards traffic approaching from the main Ringwood road, in the opposite direction to the route taken by the driver in this case, clearly angled towards Ringwood Road as shown in Fig 9 below. 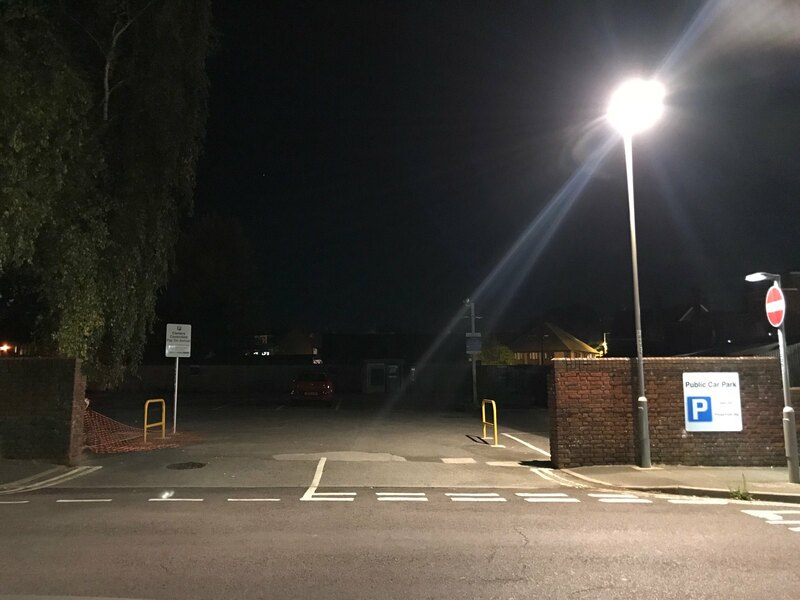 I have demonstrated this car park does not benefit from illumination throughout all 24hours of operation, would it not be sensible to position signs in a more practical manner to the benefit of traffic entering from opposite ends? The signs have a clear bias towards drivers entering from Ringwood road, to the detriment of drivers entering from the opposite end. As observed whilst researching for this case, the KFC car park a mere 4min walk away, (see Fig 10), shows the correct placement in clear space visible from both left and right on approach. British Parking could take a leaf out of TPS book and either reposition the signs or add an additional sign on the right of the entrance angled towards traffic entering from the opposite side, this would increase visibility significantly. As this operator does not have proprietary interest in the land then I require that they produce an unredacted copy of the contract, site agreement or ‘user manual' setting out details including exemptions, evidence to define what this operator is authorised to do and any circumstances where there may be a right to cancellation of a charge. It cannot be assumed, just because an agent is contracted to merely put some signs up and issue Parking Charge Notices, that the agent is also authorised to make contracts with all or any category of visiting drivers and/or to enforce the charge in court in their own name (legal action regarding land use disputes generally being a matter for a landowner only). Witness statements are not sound evidence of the above, often being pre-signed, generic non specific documents to the case or land in question. A witness statement might in some cases be accepted by POPLA but in this case I suggest it is unlikely to sufficiently evidence the definition of the services provided by each party to the agreement. Nor would it define vital information such as charging days/times, any exemption clauses, land boundary and bays where enforcement applies/does not apply or landowner restrictions that can give rise to a charge and how much the operator is authorises to charge. (which cannot be assumed to be the sum in small print on a sign because template private parking terms and sums have been known not to match the actual landowner agreement). “period of parking” to which the notice relates, as required by PoFA 2012. Britannia Parking are not at liberty to insert “entry/exit” in place of the POFA requirement for a “period of parking” and hold the keeper liable as a result. By virtue of the nature of an ANPR system, only entry and exit times are recorded, Britannia Parking are not able to definitively state the period of parking. I require Britannia Parking to provide evidence to show the vehicle in question was parked on the date/time (for the duration claimed) and at the location stated in the NtK. “A notice which is to be relied on as a notice to keeper for the purposes of paragraph 6(1)(b) is given in accordance with this paragraph if the following requirements are met. • The PCN is non compliant as it does not describe the charges due at the end of the ‘parking period’, as the operator, Britannia Parking are required to detail these requirements on issuing the PCN, making it non-compliant. The PCN in question contains two images of the vehicle and two closeups of the number plate, however whilst they clearly identify the vehicle entering or leaving a car park and partially meets the BPA code, it is not identifiable in the photos as of any particular location. I require Britannia Parking to produce evidence where the photographs show the car to be when there is a lack of any marker or sign to indisputably relate these photos to the location stated. There is no connection demonstrated whatsoever with the car park in question. These times do not equate to any single evidenced period of parking. By Britannia Parking own admission on their NtK, these times are claimed to be the entry and exit time of the vehicle. There is no evidence of a single period of parking and this cannot reasonably be assumed. 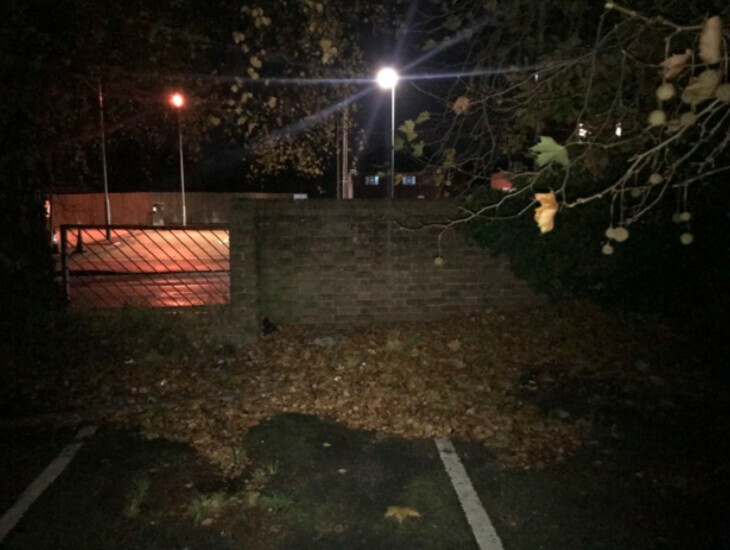 The Notice to Keeper states: “On 21/09/18 vehicle: entered Spinneys Lane Car Park at 21:27:22 and departed at 23:01:00”. Britannia Parking NTK shows no parking time, merely two images of a number plate corresponding with that of the vehicle in question. Paragraph 21.3 of the BPA Code of Practice states that parking companies are required to ensure ANPR equipment is maintained and is in correct working order. I require Britannia Parking to provide records with the location of the cameras used in this instance, together with dates and times of when the equipment was checked, calibrated, maintained and synchronised with the timer which stamps the photo images to ensure the accuracy of the ANPR images. The Spinney Lane car park signs fail to transparently warn drivers of what the ANPR data will be used for which breaches the BPA Code of Practice and the Consumer Protection from unfair Trading Regulations 2008 due to inherent failure to indicate the 'commercial intent' of the cameras. Britannia Parking signs do not comply with these requirements because the signage failed to explain what the ANPR data would be used for, which is a 'failure to identify its commercial intent', contrary to the BPA CoP and Consumer law. After researching the subject, there are several Britannia Parking signs in the Spinneys Lane Car Park, (5 of which are photographed below) only one contains information telling the driver what the recorded data will be used for. See Fig 4/5/6/7. Fig 8/9 below, located at the back of the car park in complete darkness, is the only sign advising drivers what the data collected by ANPR will be used for (image taken with flash). As proven, most of the signs within the car park are non compliant, as they do not advise what technology being used, what they do with the data collected, nor do they advise where to find information on personal data, large amount of text in a small space in total darkness, making them inadequate and illegible in a number of ways. I took the liberty of researching other car parks in the immediate area on foot and by car, within minutes of Spinneys Lane (Fig 14). 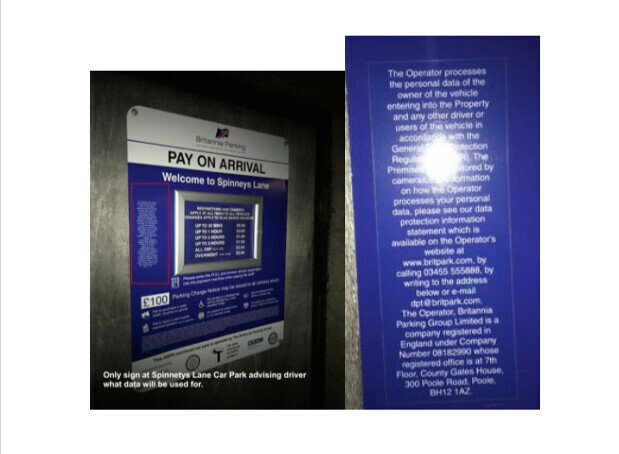 Fig 10/11/12/13 are images of signs belonging to BPA members Total Parking Solutions and Civil Enforcement, in contrast to Britannia Parking, they included a personal data statement displayed at the entrance of KFC and Halfords. Fig 10 – prominent Civil Enforcement sign on entry to KFC advising “Data Protection Information” and ANPR presence. 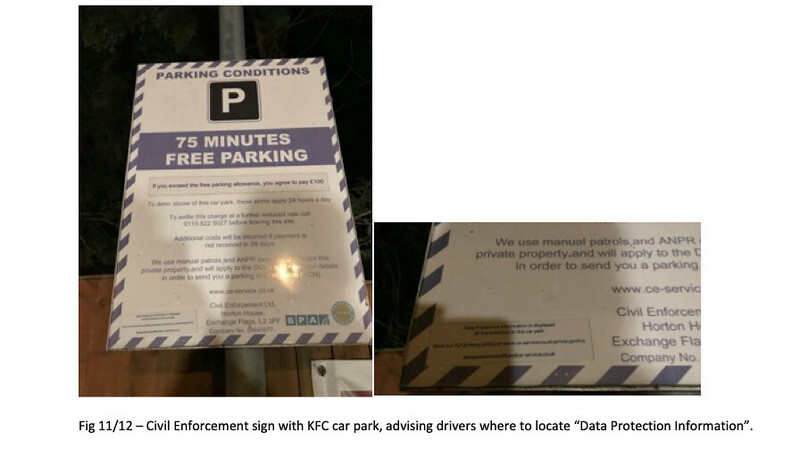 Fig 11/12 – Civil Enforcement sign with KFC car park, advising drivers where to locate “Data Protection Information”. 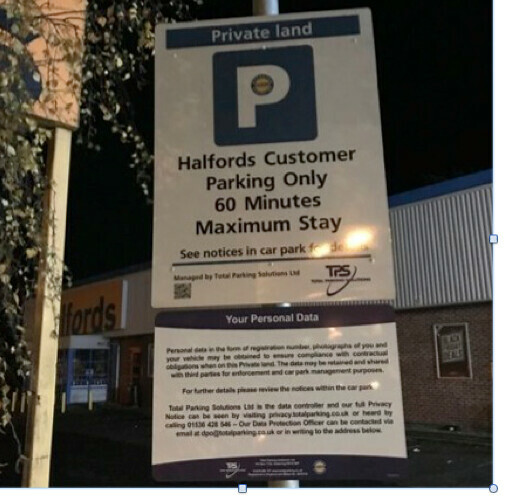 Fig 13 - Total Parking Solutions advising drivers on use of personal data entrance to Halfords. (2) A consumer notice is transparent for the purposes of subsection (1) if it is expressed in plain and intelligible language and it is legible. and Paragraph 69: Contract terms that may have different meanings: if a term in a consumer contract, or a consumer notice, could have different meanings, the meaning that is most favourable to the consumer is to prevail. Unless this is already apparent from the context, “and as a result it causes or is likely to cause the average consumer to take a transactional decision he would not have taken otherwise.'' 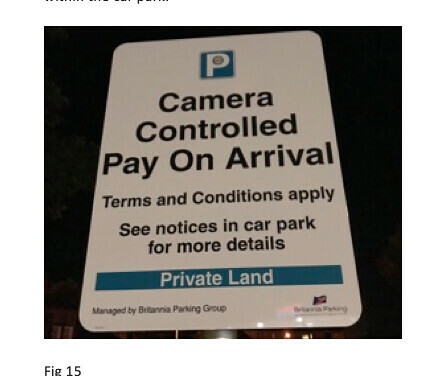 It is far from 'apparent' that ‘Camera Controlled’ (FIG 15) means a car's data is being harvested for commercial purposes of charging as opposed to CCTV in operation for security within the car park. Britannia Parking do not have Planning Permission for any pole-mounted ANPR cameras or signs, nor do they have Advertising consent for signage exceeding 0.3 m2. The Administration Officer at Christchurch and East Dorset Planning department under which Ferndown is goverened, provided a list of the planning history dating back to 1980 for the Spinneys Lane area, and from the 7 records available, none are from operator Britannia Parking for the erection of pole mounted cameras or advertising. In a further conversation with East Dorset Council Planning department who confirmed planning and advertising consent is required for all private and commercial signs as found in the planning portal: https://www.planningportal.co.uk/info/20013...verts_and_signs. 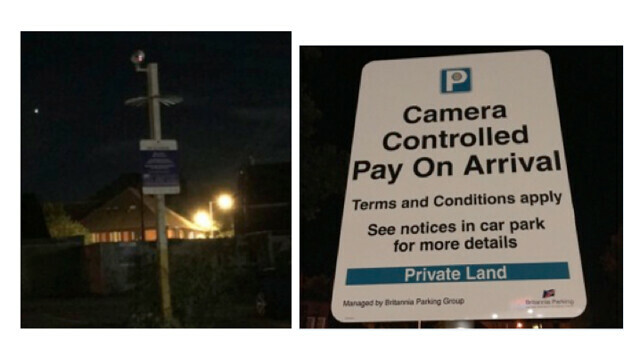 This clearly proves Britannia Parking are and have been seeking to enforce Terms & Conditions displayed on illegally erected signage, using equipment (pole- mounted ANPR cameras) for which no planning application had been made. I ask that Britannia Parking provide evidence that the correct Planning Applications were submitted (and approved) in relation to the pole-mounted ANPR cameras and that Advertising Consent was gained for signage exceeding 0.3 m2, prior to the date to which this appeal relates (14/09/2018). See Fig 16/17. Fig 16/17 – pole mounted signs and cameras require council planning approval and advertising consent. It is important at this point to reiterate that vehicles approaching/entering the car park do so from a 20mph two-way street, as indicated in Fig 9. When discussing entrance signs, the BPA CoP (Appendix B) suggests a typical approach speed of 15mph to enter a car park by immediately turning off a 30mph road. If we look at Fig 8/9 above, the red line retraces the path the driver took upon entry to the sole entry/exit of the car park, they clearly illustrate that the signs are not visible on approach and therefore a vehicle headlights would never shine on the entrance sign in order to A) illuminate it B) see it and c) stand a chance of reading it. Based on the angle of the entrance sign in relation to the approach road as illustrated in Fig 8/9, it is clear that the entrance sign to the Spinneys Lane car park is wholly inadequate. In order to gain visibility and to illuminate the sign, the driver would have to encroach onto the exit side for drivers leaving the car park, an unnatural manoeuvre, taking into account the size of the vehicle identified on the ntk as a BMW Touring (estate), it would be perceived as dangerous driving by law. Bearing this paragraph in mind, there was categorically no contract established between the driver and Britannia Parking. To draw on the basic guidelines of contract law, for a contract to be effective the offer must be communicated. Therefore, there can be no acceptance of an agreement if the other person is without knowledge of the offer, considering the lack of information presented at the entrance and on display throughout the car park, the points of which have been demonstrated earlier such as lack of sufficient lighting, positioning, and absence of information mandated by the BPA code of practice and as a result, the driver did not have a fair opportunity to read, understand, enter a contract or know a charge is applicable. Thank you for the MSE link, very useful.